Need some spare studs for your adidas Rugby boots? 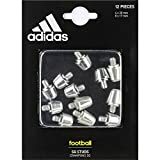 Then make sure to pick up this 12 pack of Kakari Light/Malice/Incurza 14mm + 11mm Aluminium Studs.These adidas studs, silver in colour and made from aluminium, are optimised for soft ground boots, especially those from adidas' Kakari Light, Malice and Incurza collections. 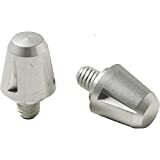 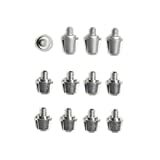 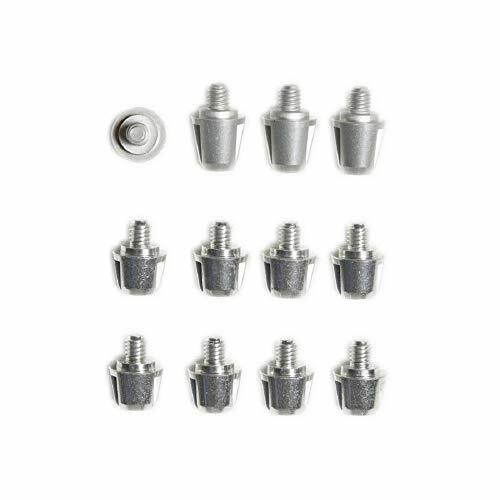 Within this pack of twelve studs there are:- 4 x 14mm Studs - 8 x 11mm Studs Excellent as replacements for worn studs, make sure you've always got plenty spare for the big matches by adding this 12 Pack of Kakari Light/Malice/Incurza 14mm + 11mm Aluminium Studs to your kit bag.